Making the decision to utilize a rail siding warehouse can be challenging to say the least. 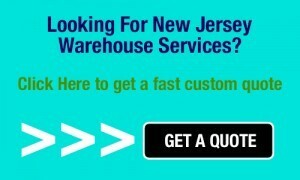 If you are already an established business with a warehouse that meets your needs, then packing up shop and moving your business may sound like a chore with seemingly very little payoff. However, if you are a new business owner looking into several options to save money then the idea of owning your own warehouse and delivery truck may provide the illusion of extensive savings. Shipping is more efficient. One of the major benefits of utilizing a rail siding warehouse is the convenience of having the rail line just a few feet away from your warehouse with the luxury of immediately loading your product upon arrival. This simple benefit not only saves on fuel costs and transportation but also provides your workers with some peace of mind knowing that shipments move in and out of your facility with ease and very little struggle. Cheaper than utilizing trucks to transport goods. Although a seemingly good alternative to a shipping company, purchasing a truck for your company to make deliveries may not be the best approach and could actually end up costing your business more money. Adding a driver to your staff (with benefits), paying for fuel costs, and paying for truck repairs are all areas that may cost you money when it comes to replacing delivery companies with a company truck. Low transportation and shipping costs. The beauty of a rail siding warehouse is that there is no need to utilize FedEx or UPS to make deliveries or move product. Since these delivery companies may take the product to several facilities before it is finally delivered, the shipment costs and fees to pay drivers could be substantial depending on several factors such as the weight of the product, destination, and any special carrying instructions for the delivery company to keep in mind. 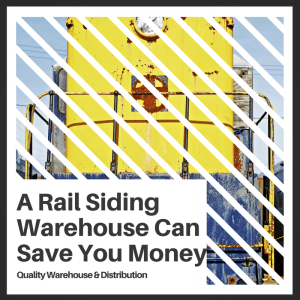 Rail siding warehouses offer the convenience of immediate loading from your warehouse with the added security of savings on shipping costs. Savings on logistics. The logistical nightmare of getting the right product to its desired location is often one huge headache. Basically, when the pot has too many hands inside, things may go drastically wrong. Typically, without the use of a rail siding warehouse, product is picked from shelves and prepared for shipment. The product is then loaded onto a delivery truck and usually ends up at a few different facilities before making it to its final destination, especially if the delivery is being made across states or countries. Introducing a rail siding warehouse into the mix will keep things simple and avoid catastrophes.